Bio: Adrian Crenshaw has worked in the IT industry for the last twenty three years. He runs the information security website Irongeek.com, which specializes in videos and articles that illustrate how to use various pen-testing and security tools. He did the cert chase for awhile (MCSE NT 4, CNE, A+, Network+. i-Net+) but stopped once he had to start paying for the tests himself. 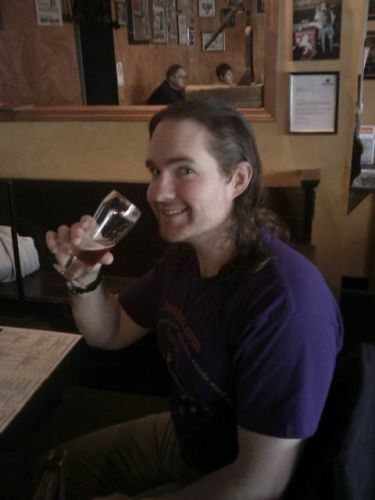 He holds a Master of Science in Security Informatics, and is one of the co-founders of Derbycon. 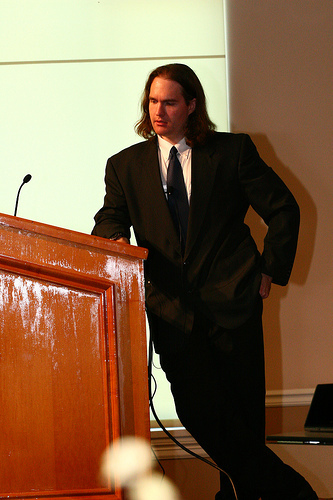 Pic of me speaking at the 2008 Louisville Infosec. Photo by Ben Thomas. At my favorite pizza place. EMP, yeah you know me..
Portable Boot Devices (USB/CD/DVD): Or in Canadian, what is this all aboot? I mostly publish to my own site as magazines are unwilling to pay and at least I make some revenue here.